William Morris said “Have nothing in your houses that you do not know to be useful, or believe to be beautiful.” In The Anthology’s new Thing of Beauty column, we highlight the objects that check both boxes. I’m a creature of habit. And ritual. Before I start writing, I like things to be just so. My desk needs to be tidy(ish). My Spotify Psybient playlist needs to be pulsing through my Urbanears headphones. And as of my most recent birthday (when I got this as a gift), my Saje ultrasonic diffuser needs to be diffusing the sweet scents of the mountains throughout my office. It’s become almost as critical to my workday as my laptop. Almost. 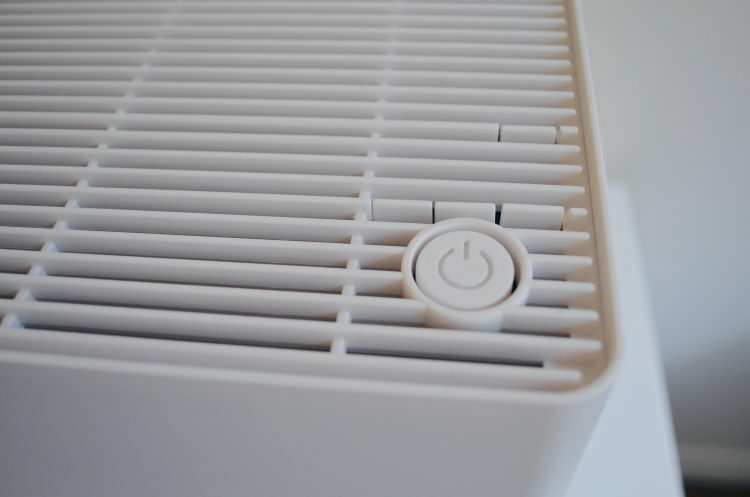 Ever since I read this post on Cup of Jo, I’ve been obsessed with the idea of getting a humidifier in a desperate attempt to improve our kids’ sleep. (Then again, I’m obsessed with any toddler/preschooler-related sleep hack.) But my kids’ rooms are in such a constant state of toys everywhere chaos, I didn’t want to add anything that felt like visual clutter. 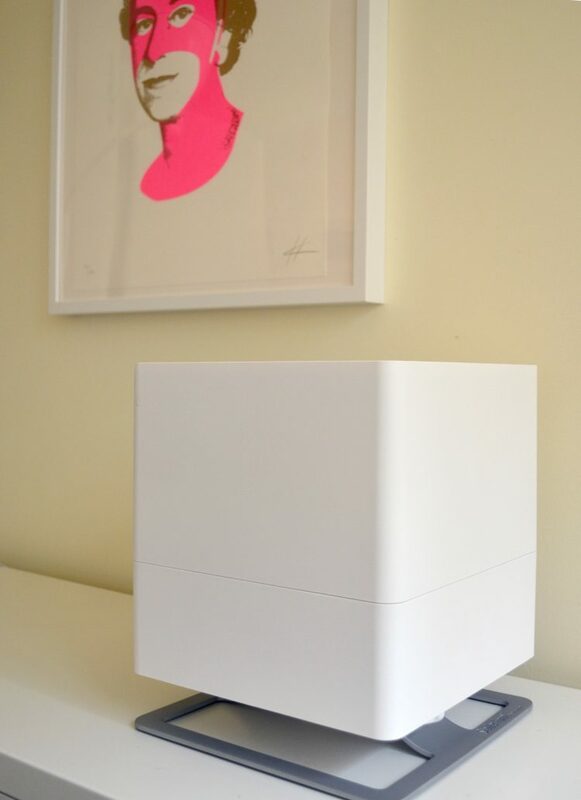 Which is where the Oskar humidifier comes in. 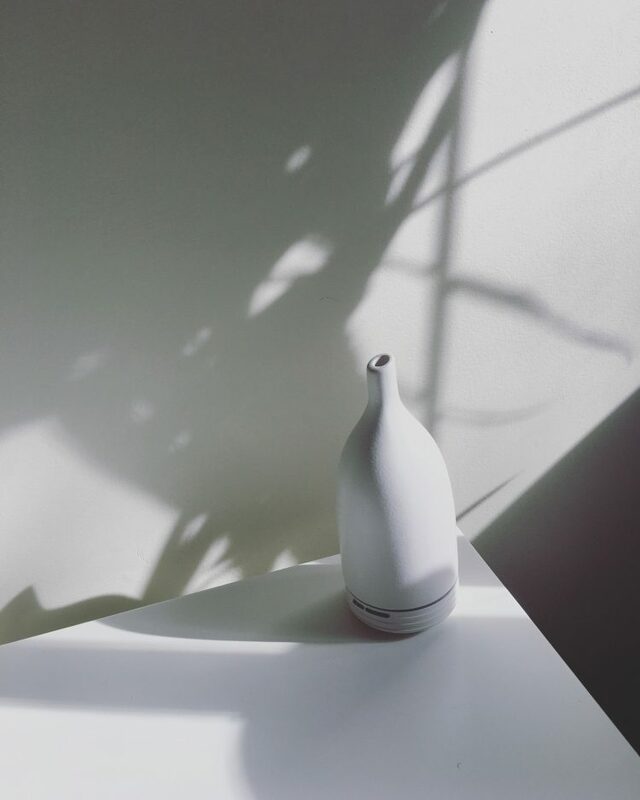 This handsome piece doesn’t actually look like a humidifier at all — it could very well be a super sleek speaker or some sort of Apple product. And it’s one of those pieces that’ll grow with a family. 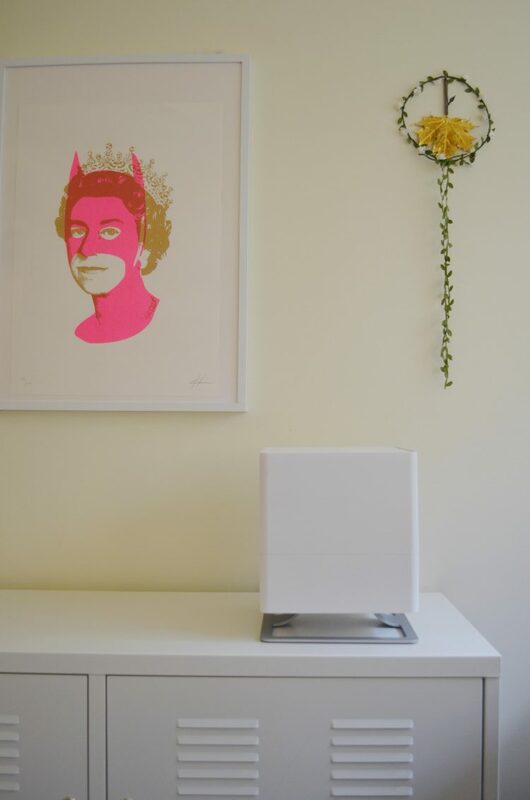 It’ll fit in with any light, bright kids’ room decor, just as easily as it could fit in with any calm, monochromatic bedroom. So you can rest easy knowing it’ll be with you for the long haul. Thank you, Eco Brands Now, for sending it my way! One of the things that stuck with me most from my interview with makeup artist Caitlin Callahan was her tip that powder blush looks like makeup but cream blush looks like your own colour. I didn’t ask for her thoughts on cheek gelée but if she were to ask for my thoughts I’d give it major kudos. 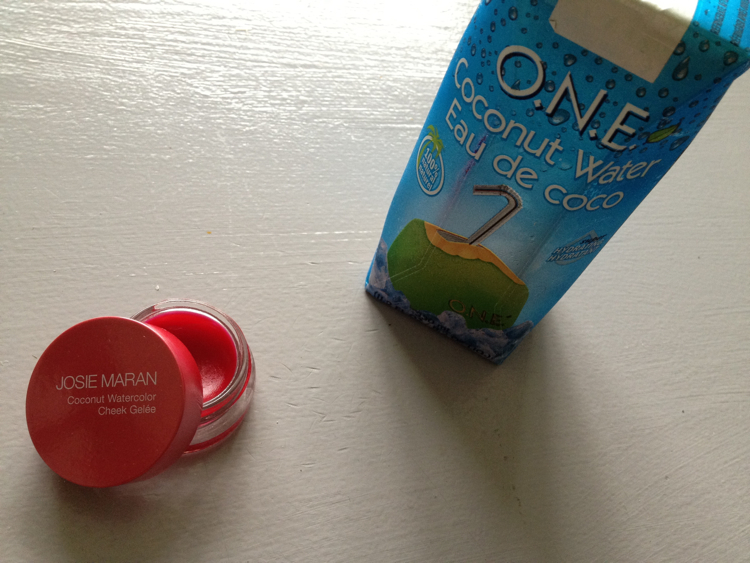 This version by Josie Maran is made with coconut water (nature’s Gatorade) and though the colour looks intense in the pot, it goes on as light and bright as a hot summer’s day. The kind of day that you should be drinking plenty of coconut water. Because unlike these colours, dehydration ain’t pretty. When you have a newborn you spend a lot of time reading random articles at 4am. Or at least I do. So I thought I’d share a few of my favourite finds of (very, very) late. “Bad hair, don’t care, let’s build a fort” — beauty wisdom from your dad: xoVain. The interview in which Kanye discusses the length of his ‘gevity: New York Times. Matilda takes on Amanda — seven reasons child stars go crazy: Cracked. 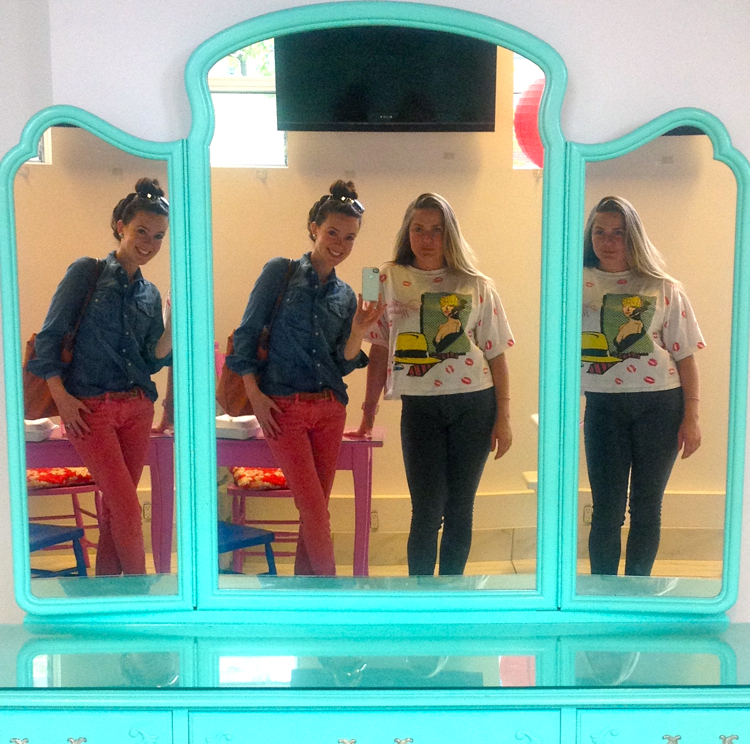 Seven vintage shops to check out next time you’re in Seattle: Daily Candy. So this is why you really don’t like the Facebook app: The Atlantic. Now everybody’s going to be stepping up their Craigslist game: Jezebel. P.S. Rather look at pictures? Follow @KelseyDundon on Instagram. Typically I opt for bright colours on my fingers and twinkletoes (see exhibits A, B, and leopard-printed C). But there’s something about Estée Lauder’s Pure Color Nail Laquer in So Vain that has me putting a sophist-o-twist on my usual palette. 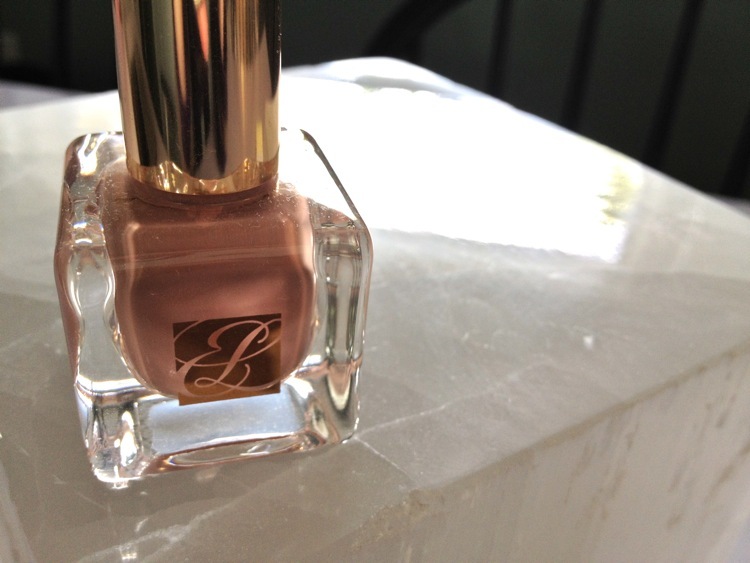 It’s as neutral as neutral can be so it goes with everything and it’s slightly sheer so it makes your nails look extra glossy. It gives me new hope for taupe. I’m not typically a lipstick kind of girl — in fact, I’m more into Kiehl’s Lip Balm #1 than anything. But when I sat down with MAC Pro Team Senior Artist Caitlin Callahan I got to play the pick a colour, any colour game. What did she recommend? MAC Mineralize Rich in Everyday Diva. 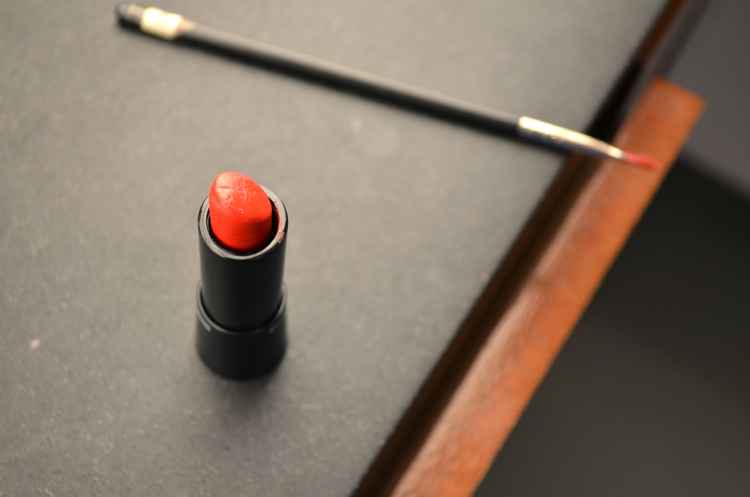 It’s bold, feels more moisturize-y than lipstick-y and lasts for hours. It might just make a convert out of me. I love the look of a heavily lined eye. Maybe not quite as much as Elizabeth Taylor or Cleopatra or Elizabeth Taylor as Cleopatra, but all things considered, I’m a big, big fan. And I’ve tried every variation of liner — pencil, pen, liquid, crayon, powder (man, they’ve reinvented this stuff a million times). My favourite? 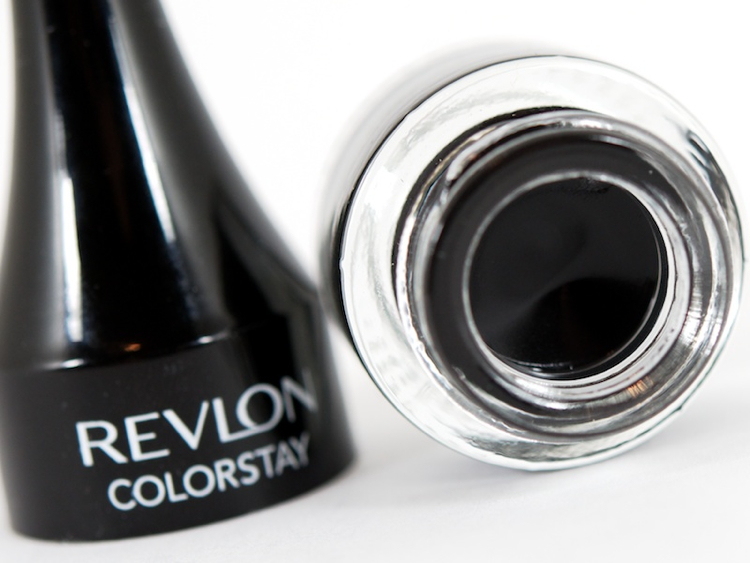 Revlon’s Colorstay Creme Gel Eye Liner (which, for those of you in western Canada, is $10.99 at London Drugs). It comes with a little pot of liner whose lid converts into a brush, quill and ink-style. Is it easy to use? Quite the contrary. It takes a special kind of patience to learn how to apply it without leaving clumps (Beautezine has beautiful step-by-step shots). Then, even when you get the hang of it, you still have to take your time because it’s water resistant so you can’t easily wipe off your mistakes. But that’s precisely why I love it — it doesn’t leave you with raccoon eyes. Unless that’s the look you’re going for. P.S. 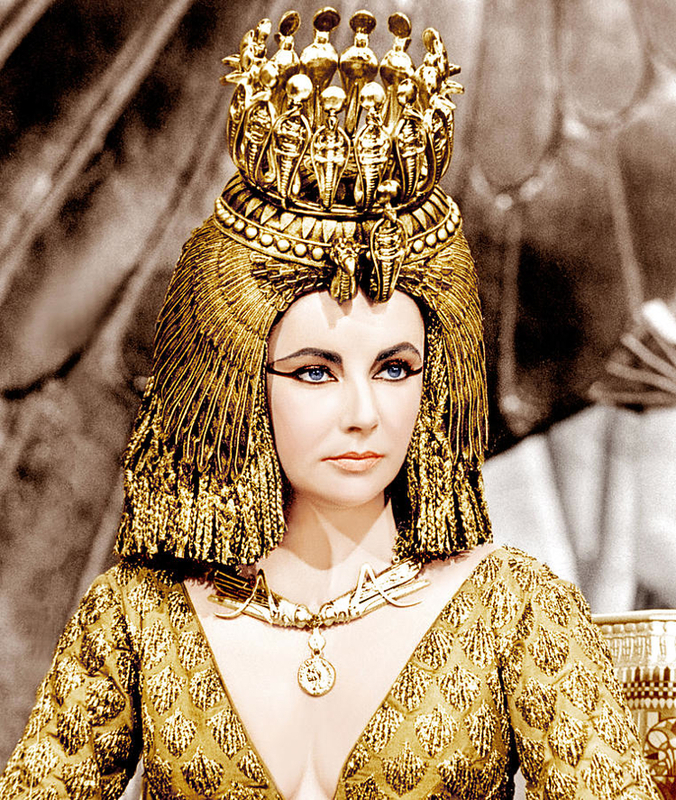 Make like a modern Cleopatra and like The Anthology on Facebook. I’m not sure exactly when it happened, but Greek yogurt has completely dominated the dairy aisle. Turns out its creamy goodness is not only great for breakfast but works wonders for dry skin too. I just got back from snow-covered Edmonton, Alberta where the cold left my skin terribly dry. So what did I do the moment I touched down back in Vancouver? 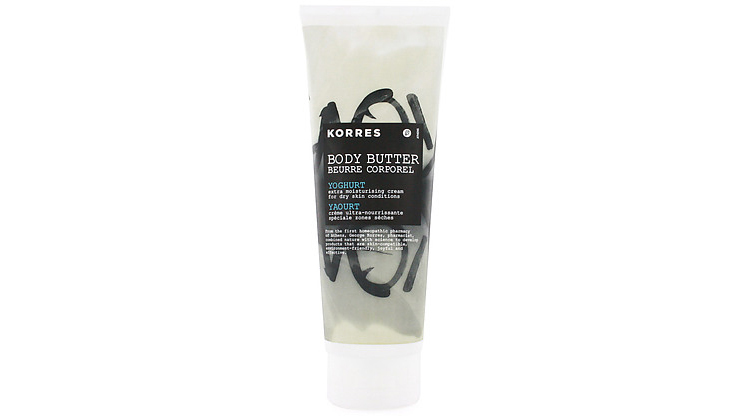 Lather up with the very thick Korres Yoghurt Body Butter. It’s made in Greece with actual yogurt and rehydrates skin in ways lighter moisturizers can’t. Maybe it has something to do with the fact that the yogurt’s full fat, making it extra dermalicious. Now we just need someone to invent a granola exfoliator. 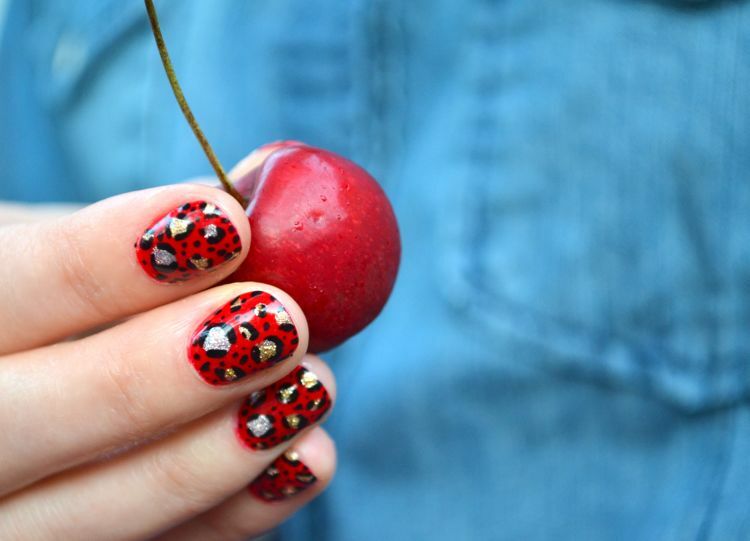 A manicure by Christina Culver at Beauty Mark isn’t really a manicure at all — it’s more like watching her transform the tips of your fingers into tiny little canvasses. Here, the nail artist takes us step by step through vibrant leopard print nail art, which is something you just might be able to replicate because the whole point is to get all Jackson Pollock-y. 1. Like any manicure, start with a base coat (you have no idea how long it took me to realize that this is the key to long-lasting nail colour — I use Revlon’s Quick Dry Base Coat at home). Then pick your bright. I chose Butter London’s Come to Bed Red, but a bold pink or blue would look smashing too. 2. 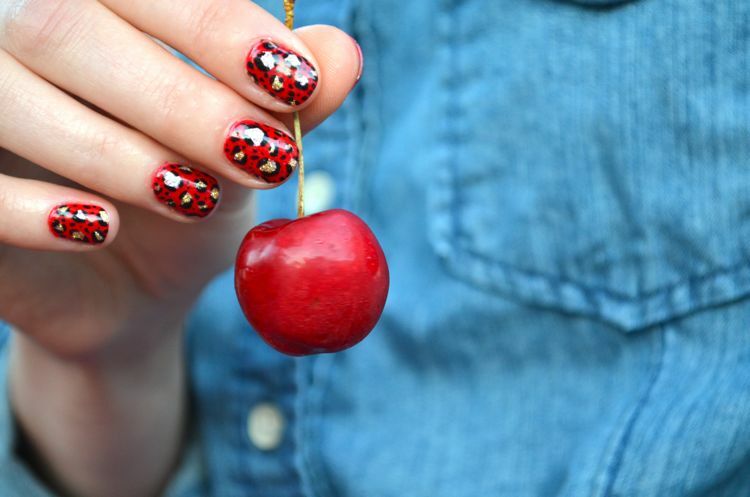 Start your leopard spots, painting them randomly on each nail — two on one nail, three on another, four on another, etc. They trick is to make sure you vary the size and shape of the spots so you avoid a matchy-matchy look (“There are stickers for that,” Culver says). The silver she used is Tart with a Heart. 3. Layer more colours in the same family, like West End Wonderland, Diamond Geezer, and The Full Monty. Again, make sure you vary the size, shape and number of the spots. 4. 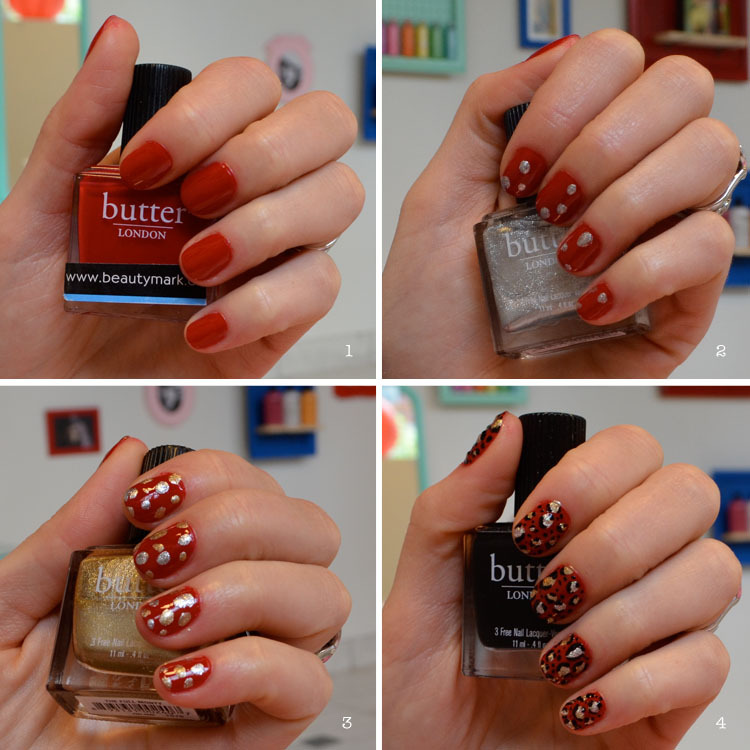 Transform the spots into dots with thin sweeps of black polish, like Union Jack Black. 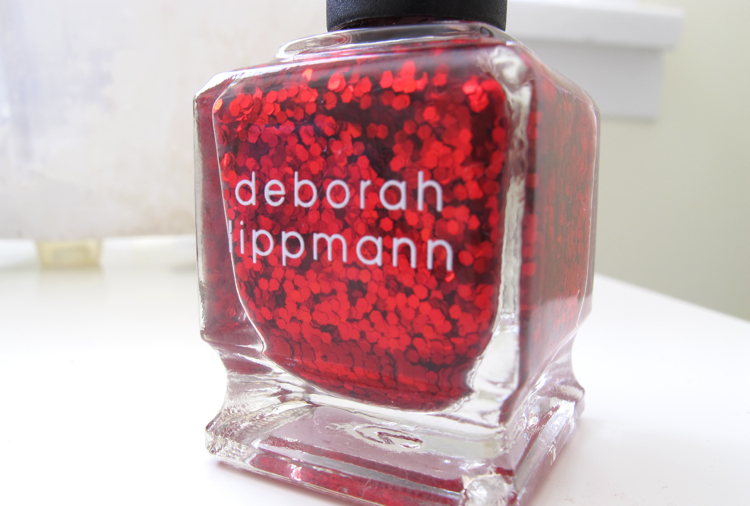 Add a top coat (I love Deborah Lippmann’s Addicted to Speed Ultra-Quick Dry Top Coat) et voila! Juicy nails! P.S. Put those beautiful nails to the test and follow The Anthology on Facebook and @TheAnthology. P.P.S. You know what I did after Christina painted my nails? Climbed a via ferrata and they didn’t even chip(!). P.S. Type your way over to Twitter and add The Anthology!